I love mysteries and thrillers--and, sometimes, a romantic suspense novel makes its way onto my reading list. I will be honest--I love antiques, history & curses--so the cover and description of the latest novel by Marlene M. Bell caught my eye immediately. 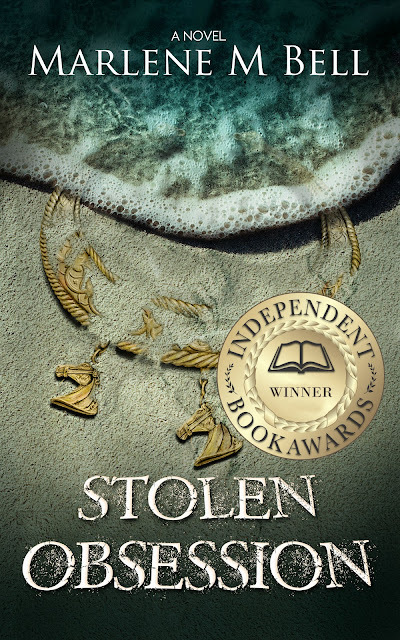 What did I think of Stolen Obsession by Marlene M. Bell? 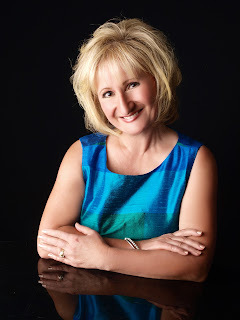 Check out my review, learn about the author & enter for a chance to win a prize in the book tour giveaway at the end of this post. Readers will fall in love with the characters in Stolen Obsession. I know that this novel launches a series surrounding the main character, Annalisse Drury. While I am not sure where the series may lead our leading lady next--I am sure that the author created a reader-friendly cast of characters with this first novel. From the first few pages, the author created very likable characters with good hearts and intentions--while keeping some characters a little vague and questionable until it was their turn to prove their colors later in the novel. Stolen Obsession is an intense romantic suspense novel. If you are seeking a deep, international espionage story following police procedure and realism--this isn't your novel. However; if you are seeking a romance novel with international drama, murders and ulterior motives shrouded in old secrets and the lure of a historical curse--this is an entertaining romantic suspense read. Stolen Obsession leans more toward romance and action than realism; but, it worked well. This is a novel where the main characters meet, and the love story/chaos begins within minutes (although the author tries to let it "build"). I tend to prefer realistic responses to plot twists and events--so I had a tough time settling into the novel at first... A man was murdered/we suspected a curse...but, we had to go out for drinks, and an appetizer with the love interest immediately after the man died. I gave some eye rolls when the main character was attacked--and then immediately decided to head to the deli to bring back sandwiches. The characters and the police/investigators seemed to make ridiculous decisions. Frequently. However; in spite of the lack of realism--the novel actually worked well for me. It reminded me of an old Lifetime network mystery (I may be showing my age because I am not sure if Lifetime movies are still a "thing"!) It is an action-packed, thriller with a love story that keeps readers entertained. Would I recommend Stolen Obsession by Marlene Ball? Okay. There were indeed times when I cringed and struggled with behaviors and actions that just didn't fit my line of reasoning--but, I actually really liked the storyline and the relationships that the author built along the way. This series will excite readers with great characters and satisfying endings that will leave them entertained and excited for the next book. I do think this series is geared more toward romance fans than international thriller fans--but, that's okay--because it is well worth your time. To read reviews, please visit Marlene M. Bell's page on iRead Book Tours.